You don’t have to spend much just to be happy. Backpacking /bækˌpækɪŋ/ is a kind of activity of travelling around an area without spending much money, often on foot and carrying a backpack (Macmillan Dictionary). If you are adventurous enough, you must try toploading. Toploading is not a kind of extreme sport but rather riding in a public transportation’s roof. It is commonly done in jeepneys in some provinces in the country, especially in provinces where there are very few number of public transportation. 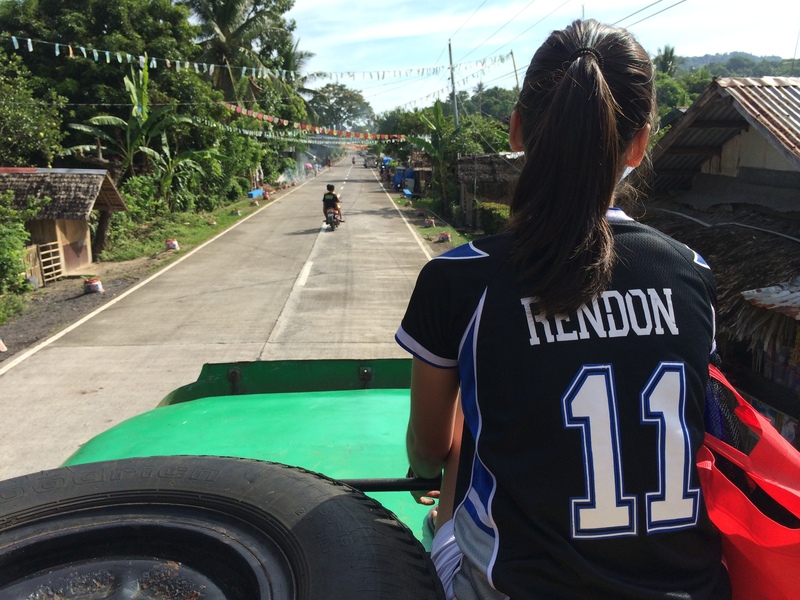 In the province of Sorsogon, it is also done in tricycles (motorcycle with a cab enclosing the motorcycle which can accommodate around 5 persons). For additional safety, the roof has iron attachment, commonly used for cargo loading. Also, in some cases, jeepneys also have bamboo slits on its roof to give comfort to the passengers. It is actually thrilling to try toploading especially along mountainous and coastal areas. 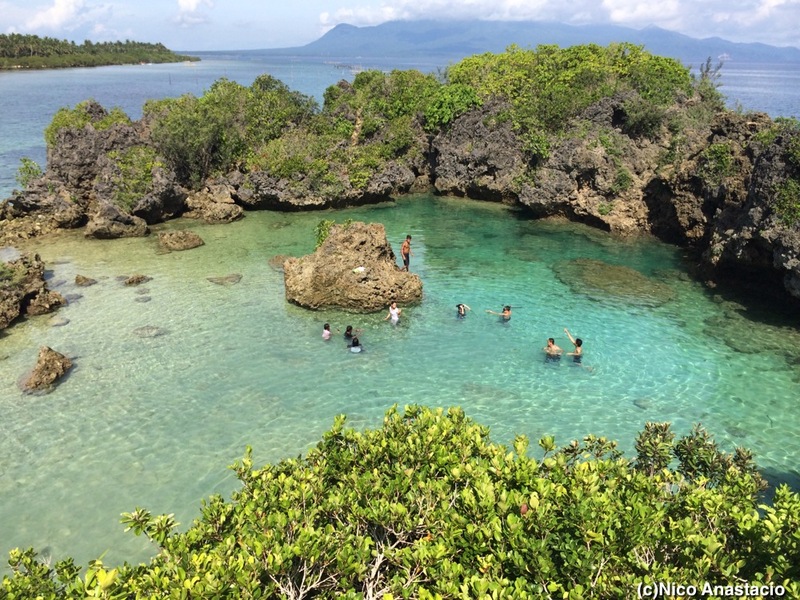 This beach is located in Salvacion, Bacon, Sorsogon, a few minutes away from Bacon poblacion and almost directly opposite to the location of Paguriran beach. 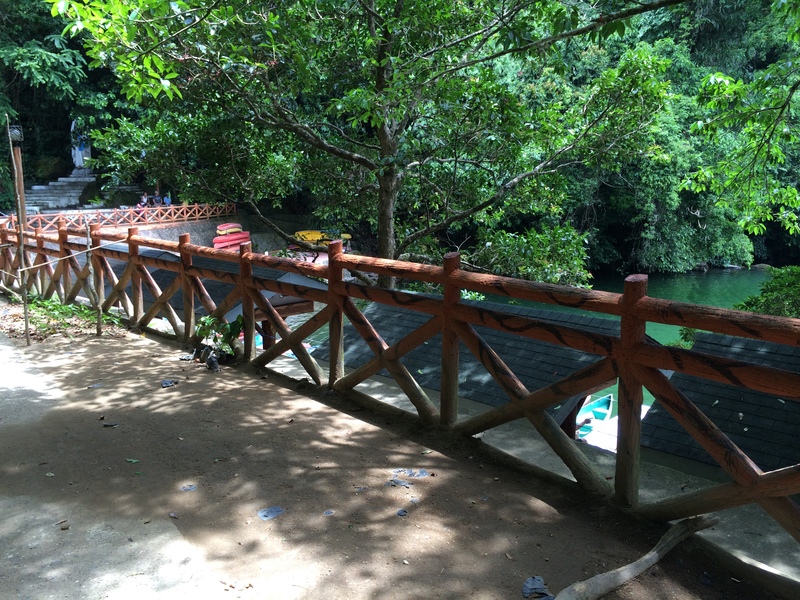 When we went here, we did not see any beach resorts along the coast but rather a long stretch of residential and community area harmoniously connected to a good mangrove forest. From this area, sunset is not much of view here since it is in the opposite direction, but sunrise is something that you may look forward to instead. 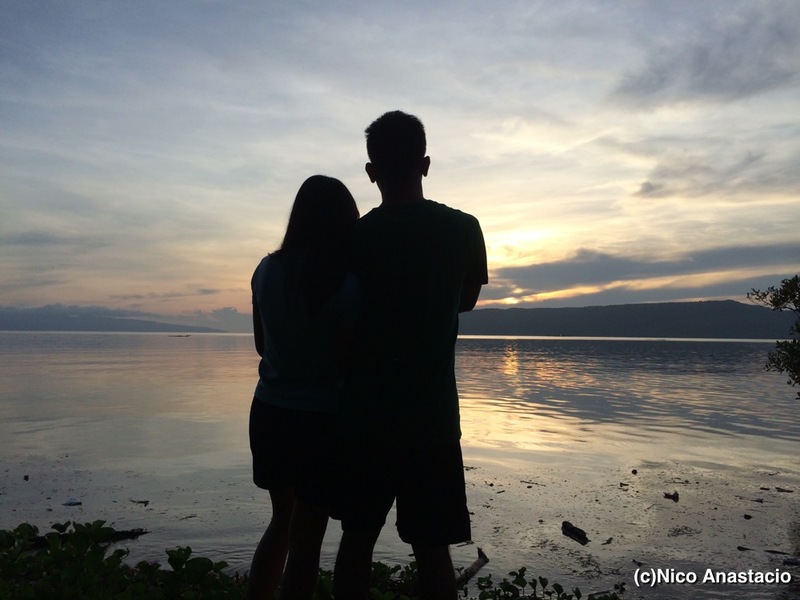 Lovers enjoying the sunrise in Salvacion Beach. Before going to Barcelona Church, we had another stop over in a beach resort in Gubat, Sorsogon. 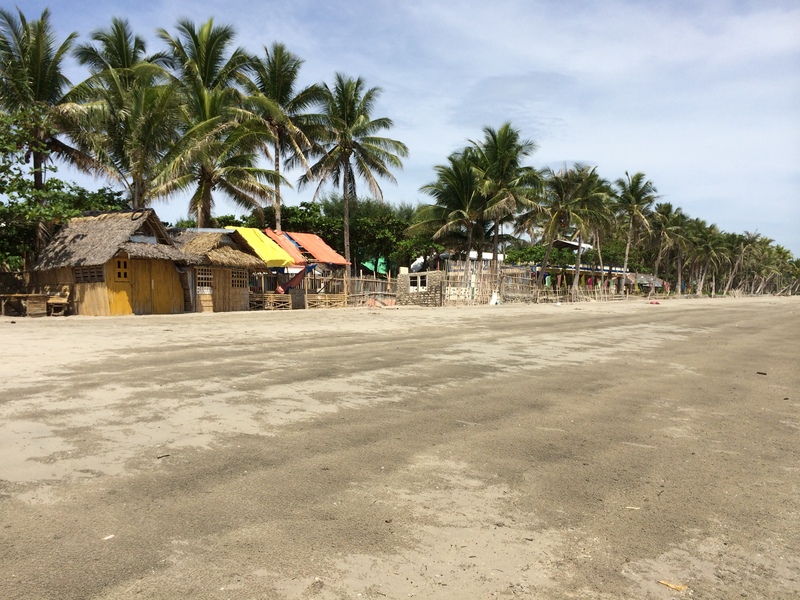 As compared with Salvacion Beach, the whole stretch of Rizal Beach has a lot of commercial establishments. You may enjoy the area for free if you will opt not to avail any cottages. Just stay under a tree and enjoy the heat of the sun and the scenic view of the beach. There are also numerous souvenir shops in the area that selling hand-made products, mostly made of a variety of shells. The long stretch of Rizal Beach. Another beach we visited in the area is Paguriran Island Beach Resort in Bacon, Sorsogon. Some visitors consider it as a mini-paradise because of its beauty. From the coast, you can see another pride of Bicol Region, the perfect cone Mayon Volcano. 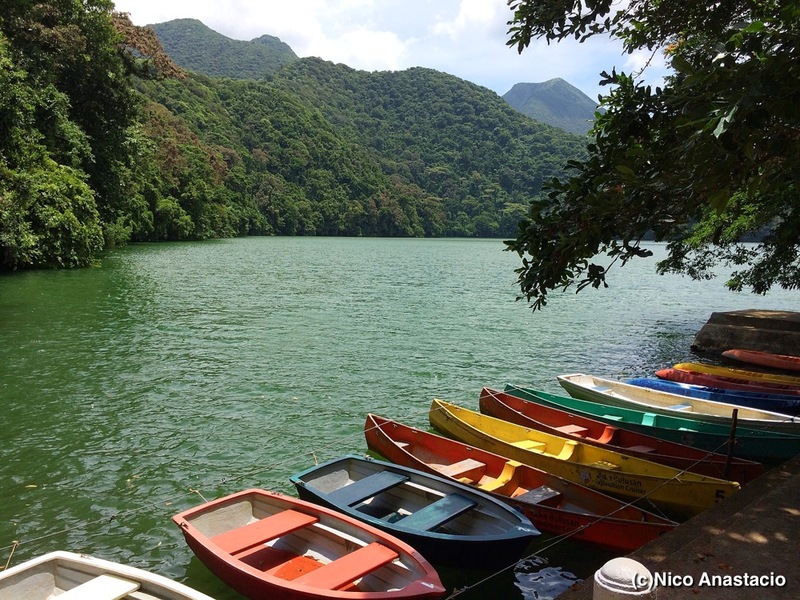 The main attraction in the area is a beautiful lagoon, enclosed by large rock formations. The view from the top of the rock formation is breathtaking and a very good area to do 360 degrees videos. Also, the other side (opposite to the coastal side) is a very nice area to enjoy cliff diving and snorkeling because of its depth and crystal clear waters. As with Rizal Beach, we also enjoyed Paguriran Beach for free since we just put our bags in the rocks or hanged them on tree branches. Paguriran Beach as viewed from the top. If you live far from any kind of body of water, this is something that might interest you. 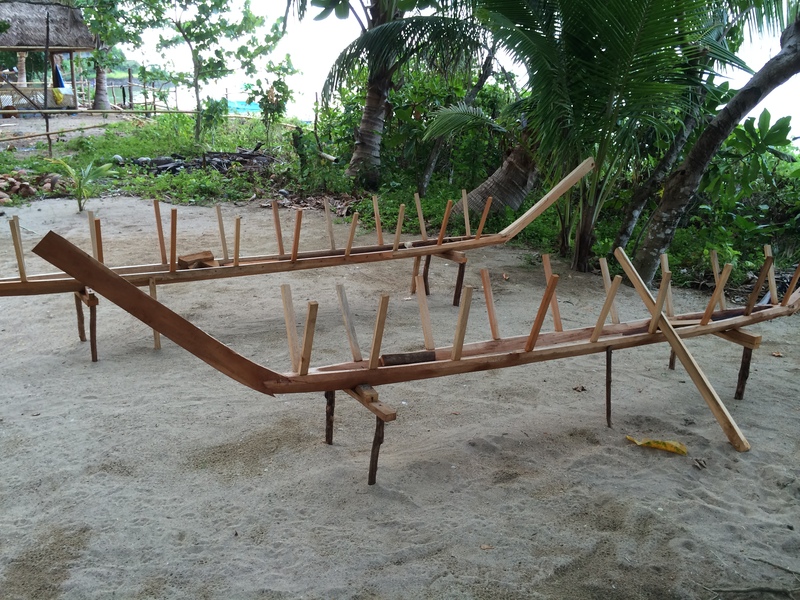 Although this is not as fancy as making a large boat or a fast crafts, you might be surprised to see how tedious Banca construction is and how the inner workings of engineering applies to it. If you are more of a solo-type person or just want to try something alone, this is something worth trying. Kayaking is not difficult so even people without any experience with rowing prior to their visit in the area can do and enjoy it. 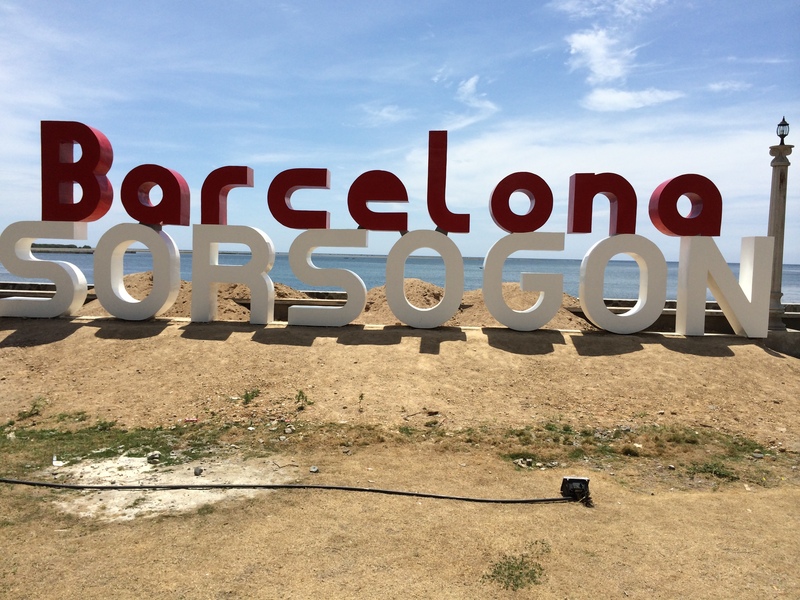 This type of activity is good for families and barkadas (group of friends) who wants to enjoy the view while chatting and taking pictures together. 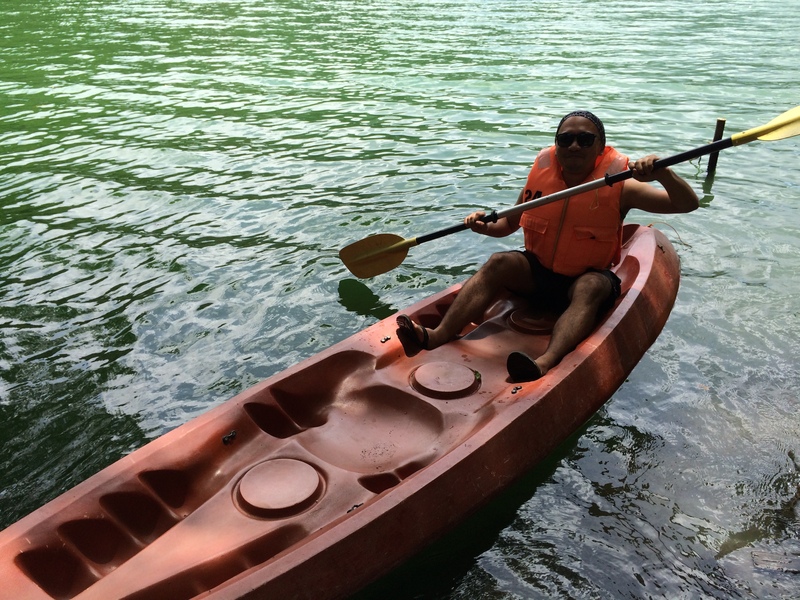 This is relatively more difficult than kayaking because it requires coordination among all the paddlers. Don’t worry, a guide will join you to ensure that you will do it properly. Since the area is also endowed with a very beautiful mountain landscape, trekking is as enjoyable, or even better, as the lake experience. You may opt to trek just the circumference of the lake for an hour or so, or be more adventurous and climb Mt. Bulusan and stay there overnight. A lot of trekking packages are available for mountaineer groups. 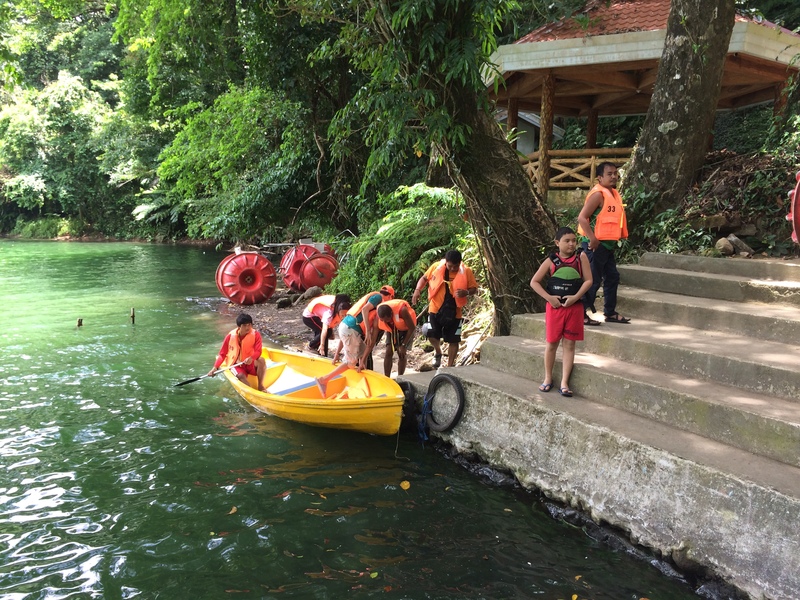 According to the guide, the climb is approximately 8 hours since there are activities inclduded in the package such as tree planting. Love country cycling? Try something different and try cycling in the water instead. 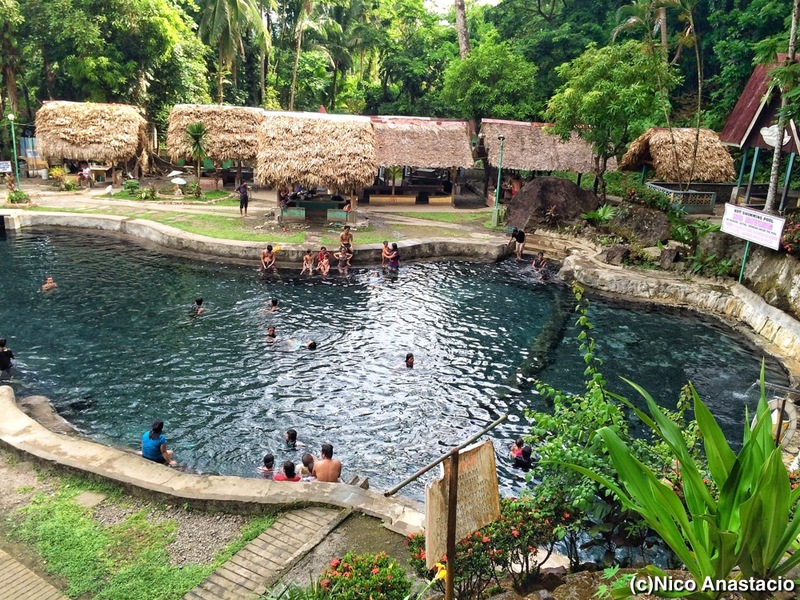 Although it is popularly known as San benon, the name of the resort is actually Mateo Hot and Cold Springs Resort and owned by Aramaru resorts. It is located in Sitio San Benon, Brgy Monbon, Irosin, Sorsogon. The resort has three different pools: hot, lukewarm and cold. 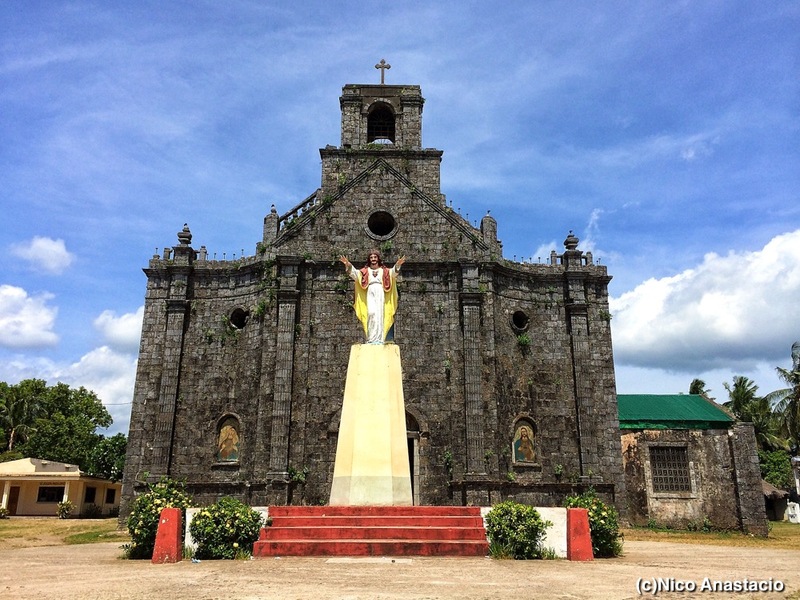 Barcelona or St. Joseph’s Church is considered the oldest church in the Bicol region, which was built in 1874. The construction of the church is supervised (and not built!) by a Franciscan friar. The historical landmark’s beauty is complemented by its location along the sea. Backpacking in the province was something we will treasure. And since we needed to go back to our “real” lives, we stayed in the province for just 3 days. When planning to stay in a place later than 6pm without considering or planning to stay there overnight, please take note of the last trip schedules to avoid inconvenience or trip delays. Some public transportation in the area has a last trip schedule of 7pm. Also, form Paguriran Island Beach, there are some instances (maybe it is the usual case since it seems normal to the locals) that Jeepneys travel very slow. It took us more than an hour just to cover a 20-kilometer distance.